For centuries, it was thought that the world was flat. That the Sun would rise from the Orient and set in the West, off the Galician Coast. Not until Cristobal Colon convinced Isabel La Catolica that the World was round and by sailing off the Western Coast of Spain, one would be able to reach the Orient i.e. China that the believe was put to the test. To the west beyond Santiago de Compostela lies the Galician Coast and the most famous Cape Finisterre. For most pilgrims whether for religious or spiritual reasons, only after reaching Cape Finisterre would the journey be completed. Viewing the Sunset from Cape Finisterre is incomparable. Just imagine other than the spectacular colours of the setting Sun painting the distant horizon in ever glowing red and gold. Yes, there are comparable sites elsewhere exhibiting the same brilliant show but no where else can you imagine that you could be there with the company of Cristobal Colon or Isabel la Catolica and on the verge of discovering a whole new world. Finisterre Sunset is truly incomparable. Buen Camino. If you are thirsty for more Camino de Santiago, once you arrive in Santiago de Compostela you can decide wether to continue walking! 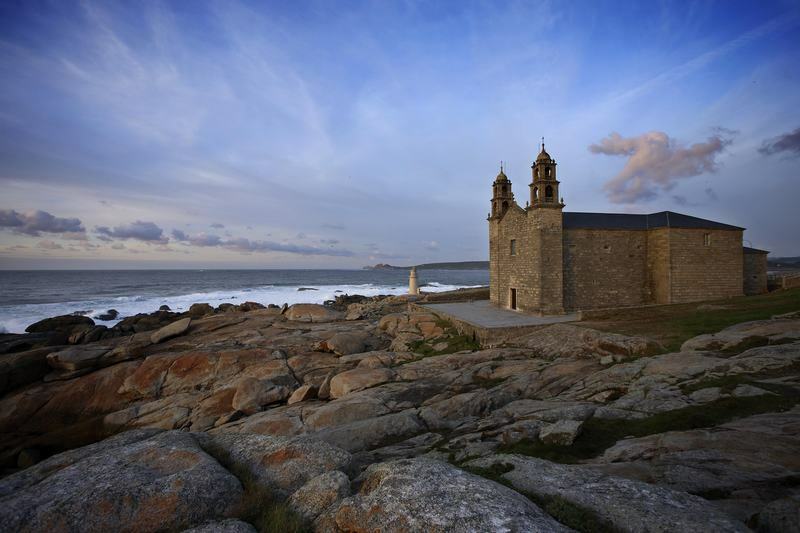 There is an extension of the camino that goes to Finisterre, meaning “The end of the world”. For many centuries, people thought that Finisterre was the end of the world because it was the farthest piece of land where people could walk. The walk takes around 3 to 4 days, and once you get there, you will be fascinated by the beautyness of the “Costa da morte”. For more information please contact us, we will be happy to help you organizing your trip. Thank you Mario to share your blog with us. Finisterre is magic.